A non-descript, two storey vernacular building with an impressive front façade that includes neo-classical columns, a two storey porch and a Greek Revival pediment with fan light. 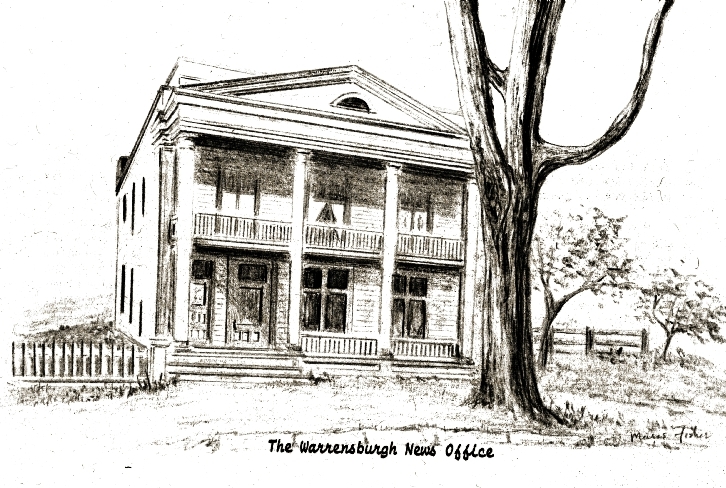 The Warrensburgh News debuted in January of 1878, with owner/editors J. W. Morris and A. H. Morris from Granville. First located in the Pasko Block, in 1882, it was sold to Lester C. Dickinson, who was also the editor. In 1890, Dickinson sold to J. M. Somerville, with John L. Tubbs as editor and general manager. The paper moved to a handsome columned two-story building built by Somerville across Elm Street, which included an apartment on the second floor for Mr. Tubbs. In 1938 it was sold to Paul and Anne Bosse who continued to publish the paper (except for several years during World War II when Bosse served in the military) until 1958 when it was sold to Robert F. Hall. The name was changed to the Warrensburg-Lake George News. In 1971, Mr. Hall sold the paper to Denton Publications with modern offset presses in Elizabethtown. By 1982 The Warrensburg-Lake George News was published by Adirondack Publications with Thom Randall as editor and general manager. Diane and Thom Randall started their own local newspaper, the Adirondack Journal in 1987, with Mr. Randall as editor. In 1990 Randall purchased The Warrensburg-Lake George News from Kline & Son and combined publication of both the Adirondack Journal and The Warrensburg-Lake George News. In 1993, the Randall's entire publishing operation was sold back to Denton Publications, which continues to publish under the name, Adirondack Journal. In 2008 Thom Randall returned as the editor of the newspaper. In addition to its coverage of news and sports of northern Warren County, the paper is best remembered for its reminiscences by Jean Hadden, Edith Bills, Evie Russell and, earlier, Myrtle Hull and Kathleen Goodman. Looking south on Elm Stret can be seen a vacant lot, a stone's throw from the present park. This was the site of the tall, two-storied building, which was the third home of the Warrensburgh News - the building most closely associated with the villagers' recollections of the newspaper. It was built in 1899, by James Somerville, owner and publisher; architect was A.W. Fuller of Albany; and local contractors, H.H. and G.W. Hill, were in charge of the construction. 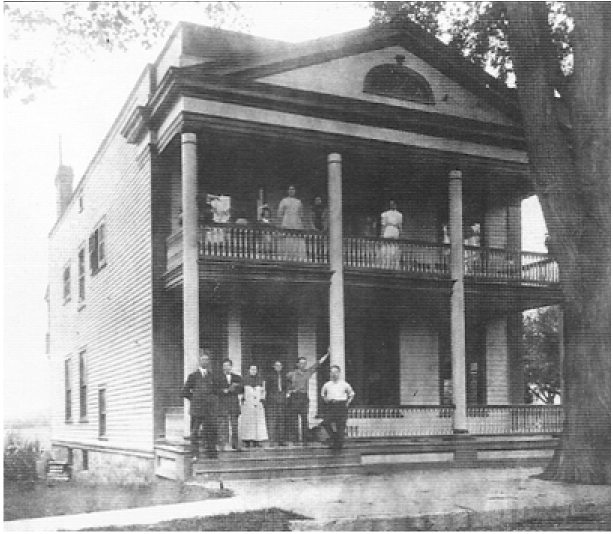 John L. Tubbs, editor from 1890 to 1932, moved his family into the spacious second-floor apartment and, for forty years, Mr. Tubbs and the Warrensburgh News were synonymous. Mr. Tubbs, in addition to being the classic example of what a small-town newspaper editor should be, was a musician who gave private lessons and contributed greatly to th cultural growth of the community His daughter, Miss Louise Tubbs, wrote an excellent biography of her father which appeared in the Warrensburgh News in 1960, in several installments. It is beautifully writen - a fitting tribute to a wonderful father, editor, musician and philosopher. Miss Tubbs was music teacher in the local school for many years. She, like her father before her, was totally dedicated in her teaching and in her service to the community.